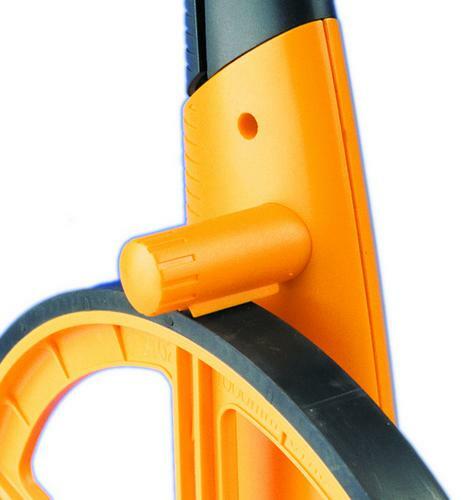 Manufactured by Trumeter a world leader in measuring equipment this robust budget measuring wheel is designed for accuracy and ease of use and comes complete with a telescopic handle, retractable stand and is backed by a lifetime guarantee. Simple to use - just set the counter to zero & start walking. Adds forward and subtracts in reverse. 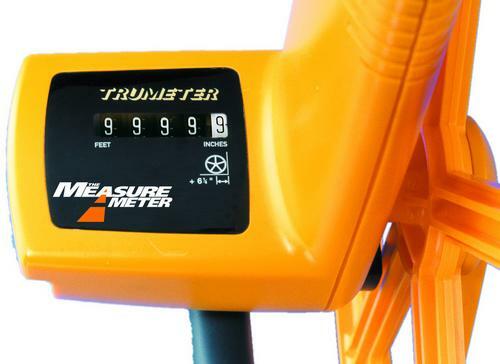 Measures up to 10,000 metres with certified accuracy. 5 digit counter measuring up to 10,000 metres or 10,000 feet. Metres & decimetres - 9999.9. Feet & inches - 9999.11. 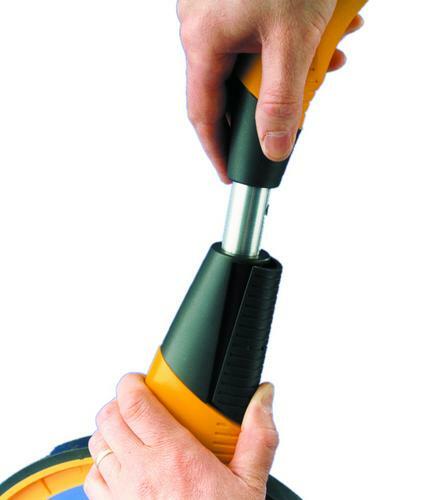 Telescopic handle with 3 height settings. Integral brake and mud scraper. Simple Lever reset to zero.